The stag is the most majestic animal in the highlands of Scotland. We pay homage to the quintessential Scottish beast in our "Fighting Stags" cantle, designed by USA Kilts. 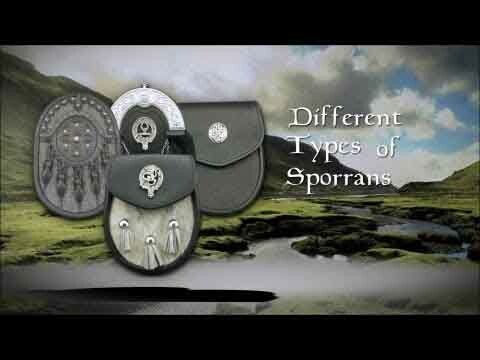 Our Fighting Stags Leather Dress Sporran is a USA Kilts exclusive. It features our private cantle design with hand sculpted stags and trinity knot work on a leather dress sporran with crossed chains. Take a minute to look through the detail pictures of this cantle. The stags are rearing, ready to collide in battle over territory and the affections of their mate. As the # 3 and the trinity knot itself have deep symbolism in many cultures & religions, we've incorporated 3 trinity knots to the face of the cantle with cutaways to allow the leather underneath to show through. But we didn't stop there... we've taken the details on this cantle to the next level. On the shoulder of the cantle, we've added small trinity knots in an alternating pattern. 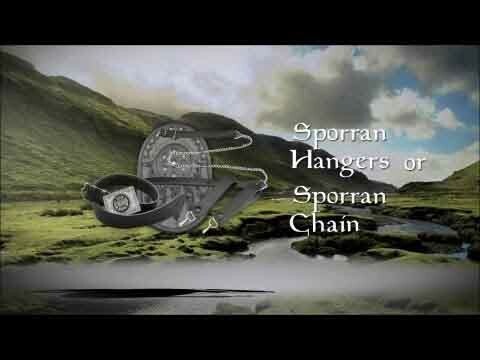 The bells on this sporran were also cast with a row of alternating trinity knots on each of them. This sporran is lined with suede and comes with our internal pocket design to hold your business cards / loose change and a sporran chain to fit the waist measurement provided. If you're looking for a simple & classy dress sporran, look no further.